Catholic (35) — Suzanne Dease 4, Lavaesha Jackson 7, Alicia Miller 6, Gaby Moore 5, Khamecia Pruitt 1, Jerrolyn Seymore 2, Henrietta Wells 10. Bishop Byrne (25) — Allanna Collins 2, Alexis Fossett 7, Alexandria Henderson 2, Samantha Henderson 5, K. Neely 2, Ebony Pettigrew 3, Elexus Pettigrew 4. FCA Nighthawks (65) — Lauren Hoyle 24, Rebecca Luebbe 10, Jennifer Milewski 8, Samantha Price 14, Laura Spradlin 2, Grace Wade 2, Sarah Wakefield 5. Bolton (22) — Destiny Arnold 3, Kayla Bolden 2, Samaria Grandberry 4, Jaelyan Jones 3, Charity Savage 7, Kerrice Watson 3. Records — FCA Nighthawks 10-1, Bolton 0-5. 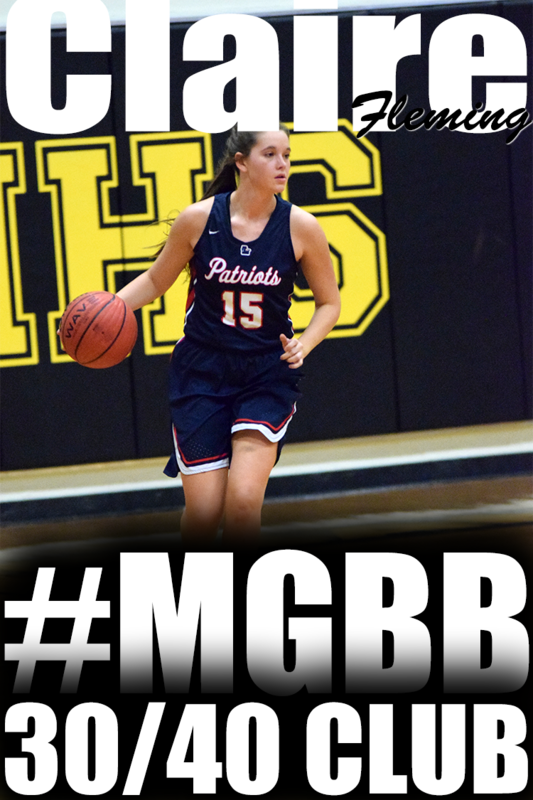 Lewisburg (20) — R. Johnson 9, H. Ferguson 4, K. Blankship 3, D. Garcher 3, L. Brady 1. Center Hill (73) — Erin Cross 8, Courtney Hopkins 6, Kaelin Kneeland 25, Marissa Knox 14, Kirmesha Oliver 2, Tersten Saunders 2, Ciera White 16. Records — Center Hill 8-3. MHEA (43) — Jamie Croom 3, Tori Lewis 8, Emily Lytle 8, Sara Lytle 10, Bailey Wilkes 14. 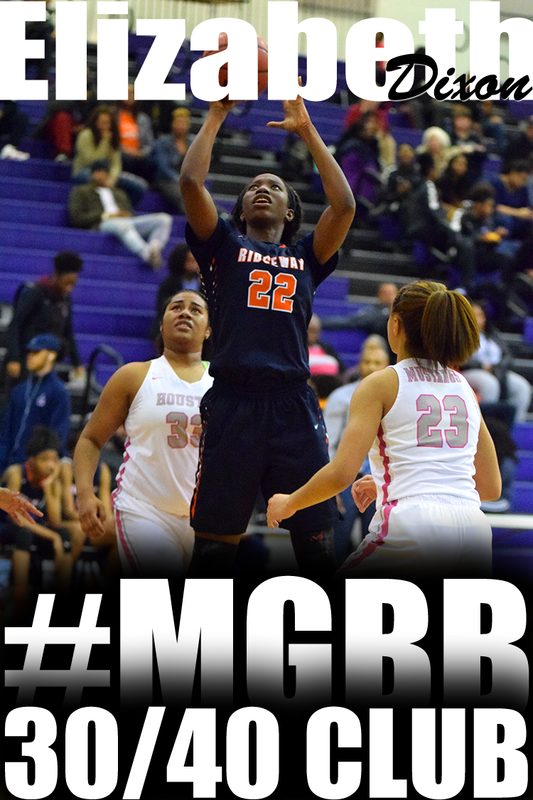 Central (49) — Nina Davis 20, Kahdeja Howell 3, Tia Hyman 6, Darriel Johnson 10, Dereka Johnson 2, Tia Wooten 8. Records — MHEA 7-2, Central 5-2. 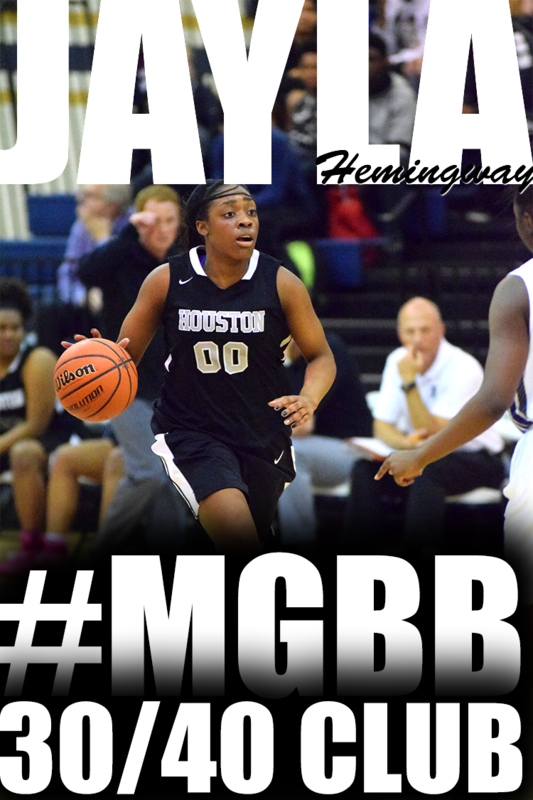 Houston (43) — Aysha Harris 9, Sydney Malone 5, Alise Parker 6, Jaida Roper 17, Julianne Shiles 6. 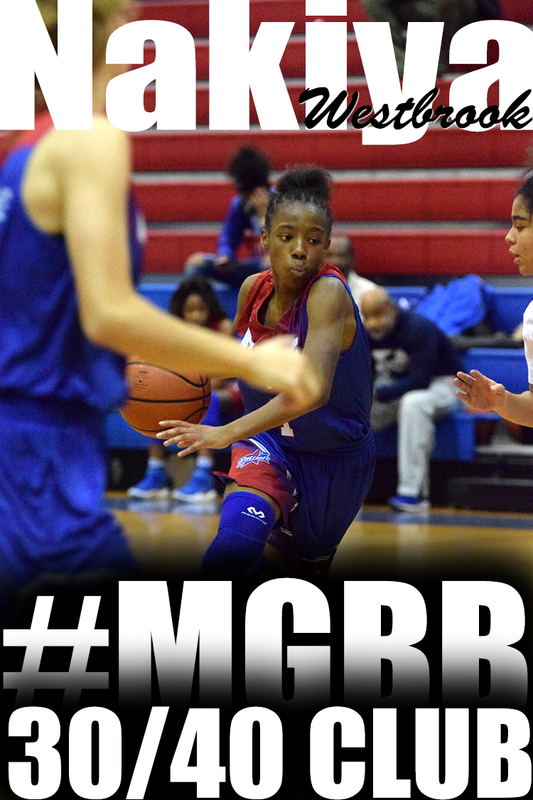 Cordova (13) — Lakondrea Bush 6, Karari Samuels 2, K’yanna Terry 5. Records — Houston 6-0, Cordova 1-5. Raleigh-Egypt (66) — Clarissa Duvall 6, Brenda Fields 21, Corlisha Howard 17, Jerika Isom 4, Irena James 1, Manaya Jones 15, Danesha Echols 2. Craigmont (59) — Alessia Conley 12, Symone Cooper 12, Candice Davis 7, Shenequa Foster 9, LaKeidra Greer 6, Miara Holliday 5, Sharrese Moore 6, Daja Scurlock 2. Records — Raleigh-Egypt 6-2, Craigmont 2-4. Tupelo-Miss. (61) — J. Polk 15, C. Marshall 15, A. Partlow 11, M. Hoskins 6, B. Thomas 6, B. Jernigan 4, B. Stewart 2, Z. Long 2. DeSoto Central (70) — Stormy Green 21, Imani Johnson 10, McKeena Kohlhof 10, Rodneisha Martin 27, Nay Strickland 2. Records — DeSoto Central 7-3. Covington (75) — Precious Dyson 17, Precious Harvey 5, Ashia Jones 35, Janekia Mason 4, Treasury Poindexter 6, Leshaundra Somerville 8. Dyersburg (68) — Sidney Coffman 11, Kenya Jordan 16, Emily Bennett 3, Kirstina Moore 6, Catrina Swift 2, Sherry Swift 16, Maya Taylor 14. Records — Covington 10-0, Dyersburg 2-4. St. Agnes (27) — Katie Connor 9, Caroline Cook 7, Olivia Gattuso 2, Lizzy Harris 5, Abby Knight 2, Nicole Mabry 2. 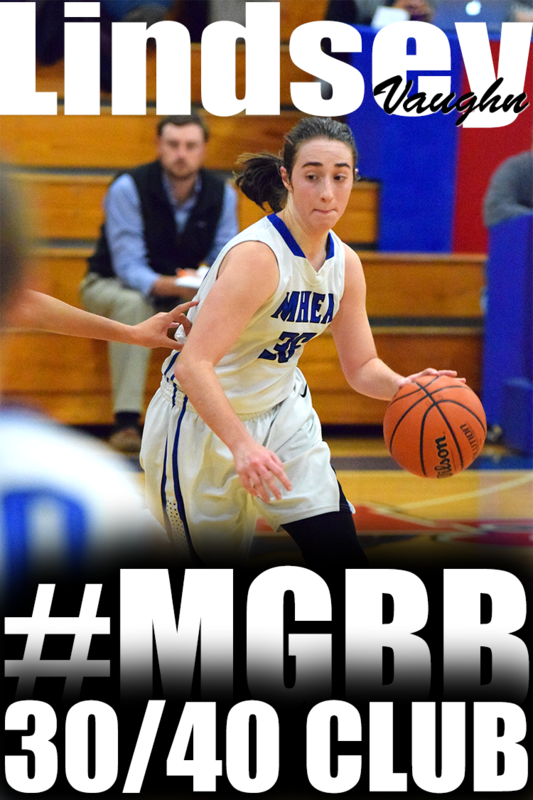 Father Ryan (31) — Olivia Rolick 2, Mary Francis Hoots 7, Kathleen Mcinnis 2, Sarah Gromos 20. Records — St. Agnes 4-2, Father Ryan 4-2. Immaculate Conception (8) — Brianna Mayes 5, Georgette Redman 2, Carrie Demore 1. Fayette Aca. (83) — Reagon Adkins 2, Sterling Crenshaw 12, Rebecca Fletcher 6, Shea Gould 3, Abby Hilliard 7, Amber Johnson 13, Rebekah Moffatt 3, Kayli Skelton 12, Holly Slocum 12, Margy Westbrook 12, Heather Slocum 1. Records — Fayette Aca. 5-2. St. Benedict (56) — Taylor Barnes 12, Nicole Ferris 6, Madison Luckett 21, Courtney Parker 3, Vicki Stepherson 2, Theresa Stoddard 12. Germantown (65) — Takira Clay 3, Briana Cowans 2, Brittany Cowans 2, Briana Mitchell 32, Britney Parmenter 18, Scarlett Sadler 6, Jasmine Williams 2. Records — St. Benedict 6-2, Germantown 7-1. Overton (57) — Phellicia Atkins 9, Kelsey Briggs 9, Lyric Douglas 2, Rodnea Echols 11, Kyla Green 2, Amber Holmes 4, Jalisa Jones 2, Fondenelle Walker 6, Kayla Williams 8, Erin Wilson 4. Hillcrest (25) — Jasmine Cunningham 12, Kenyatta Echols 4, Tykayla James 2, Danitra Jones 1, Karina Kelly 6. Lake Cormorant (47) — Kayla Johnson 5, Jessalyn Jones 2, Jaylin Rogers 10, Brianna Smith 17, Roesha Story 9, Taylor Mote 3, Sherita Paige 1. 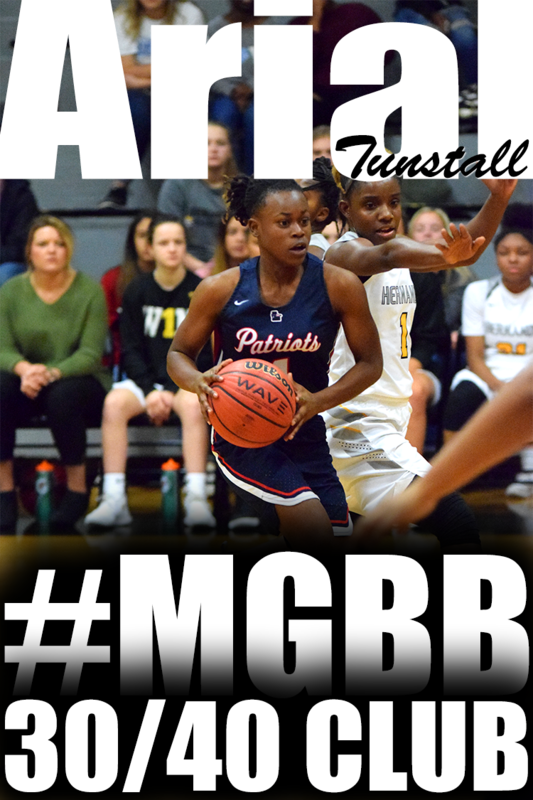 Horn Lake (93) — Shrenique Adams 2, Tranika Echols 13, Treasure Evans 10, Whitney Grant 9, Felicia Odom 15, Tae’lour Richardson 2, Alondrea Rush 14, Alexyse Thomas 17, Keneisha Winfrey 11. Records — Horn Lake 9-0. Rossville Christian (25) — Kendyl Leath 2, Caroline Loftin 14, Brianna Long 5, Tayor Zantop 2, Brianna Zink 2. Jackson Christian (60) — K. Davenport 3, A. Grizzell 6, T. McCollum 7, H. Spencer 12, C. Yarbrough 15, Taylor 3, Dickerson 7, Bird 5, Carter 2. Oakhaven (56) — T. Hammer 12, M. Lewis 6, R. McClatchey 10, A. Miller 2, B. Webb 2, D. Wiggins 16, B. White 4, T. Brown 4. Kirby (51) — M. Banks 5, K. Harrison 10, T. Johnson 19, S. Neal 1, T. Watts 16. Ridgeway (74) — Oreonna Brown 4, Alexis Bryson 9, Breauanna Humphrey 14, Ashley Jackson 10, Odegua Oigboike 6, J. Barr 4, J. Newsome 2, A. Muhammad 6, K. Boone 4, E. Foster 13, T. Taylor 2. Melrose (19) — Kiara Conner 4, Kelsey Green 2, Tatyana Johnson 1, April Prackett 2, Quinesha Whiting 10. Records — Ridgeway 3-2, Melrose 2-3. Westwood (4) — Anteleana Blue 2, Marniqua Burton 2. Mitchell (44) — Marquisha Fennell 6, Erica Jackson 8, Crystal Johnson 14, Nicole Johnson 6, Equria Patterson 4, Jessica Williams 4, Zekiyyaha Withers 2. Jackson Northside (46) — D.J. Boyd 3, Brianna Cockrell 4, Jada Perkins 9, Destiny Robinson 7, Brendy Stokes 23. Munford (50) — Robneisha Lee 10, Precious Mills 10, Lindsey Owen 2, Kierra Richardson 5, Alex Turner 5, Kierra Webb 4, Shaliyah Wiggins 9, Lauren Zvolanek 5. KIPP (9) — J. Fleming 2, C. Harris 5, A. Jones 2. Power Center Aca. 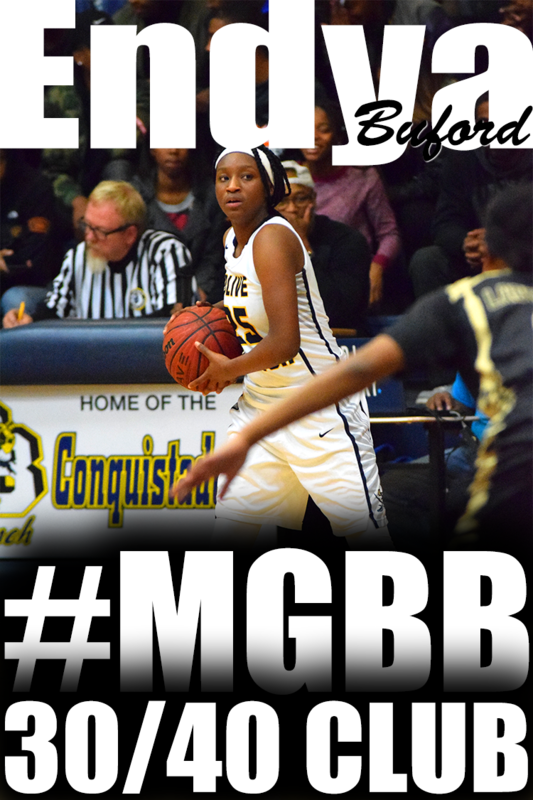 (44) — Kelsey Banks 7, Kaneskia Edwards 13, Dana Moore 14, Allison Sledge 4, Rhaja White 4, Makalia Wright 2. Records — Power Center Aca. 2-3 (1-2, District 16A). Harding (53) — Mary Collins 5, Alexis Franklin 4, Janaye Green 2, Anna Horner 9, Kayla Keys 17, Antoinette Lewis 6, Rachel Maynard 7, Morgan Murphy 3. SBEC (32) — Ashtyn Baker 9, Tori Doehring 2, Karlie Hughes 5, Kimberlee Keltner 4, Kayleigh Patterson 4, Karlee Russom 6, Andrea Sparkman 2. Records — Harding 3-2, SBEC 6-2. Wooddale (48) — Elexa Guy 11, Teresa Mays 11, Andrea McElvaine 4, Jai Sanders 6, Shay Trent 13, Davaseidy Wilborn 3. 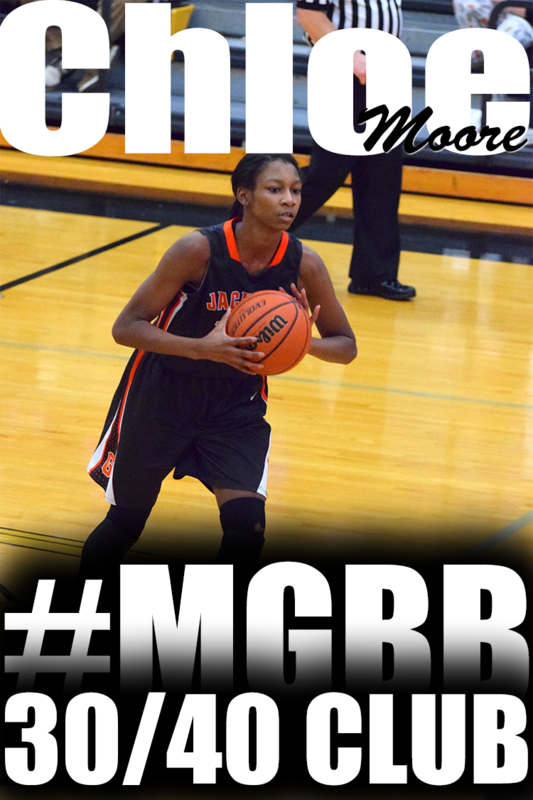 Sheffield (21) — Alaneshia Bullock 5, Jasmine Guy 11, Patricia Spearman 3, Ayonna Beason 2. Records — Wooddale 5-0, Sheffield 0-6. ECS (56) — Mallory Green 6, Caroline Jamison 7, Kate Jamison 12, Molly Martin 5, Celia Owens 13, Brooke Rendall 3, Mary Faith Younts 10. St. Mary’s (65) — Ellen Cowens 5, Molly Hanna 2, Abby Huber 5, Kelsie Jones 2, Mary Caroline Newman 2, Kaylan Pugh 46, Wesley Richards 2, Brett Silver 1. Carver (48) — Shaquille Cornelious 1, Laraya Fisher 10, Mishundra Mason 14, Lyric Stallings 12, Arnesha Wilkins 8, Samantha Smith 1, Erica Bougart 2. 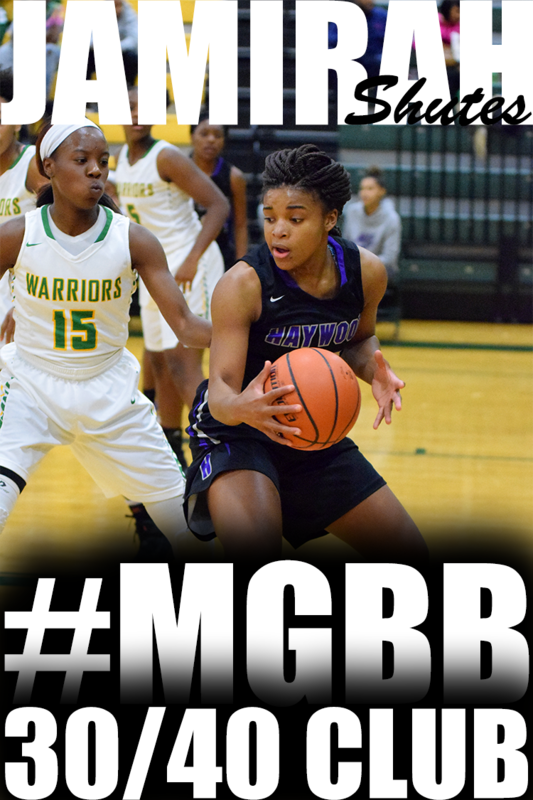 Washington (58) — Rakesha Curry 5, Renisha Hale 12, Erica Hall 3, Tierney Keaton 5, Deneisha Lane 6, Terrica Robinson 25, Dominique Chapman 2. Records — Carver 3-4, Washington 4-1. St. George’s (55) — Catherine Cantu 6, Callaway Cole 2, Molly Courtney 3, Madeline East 10, Mary Henley Green 4, Libby Heflin 2, Grace Hunt 6, Shelby Sims 7, Angela Vanderslice 4, Brooke Wertner 9, Lindsey Cayce 2. Westminster (20) — Catie Cannon 2, Emily Conrad 3, Ellie Lyons 11, Lee Stanley 2, Caroline Turner 2. Records — St. George’s 7-2. 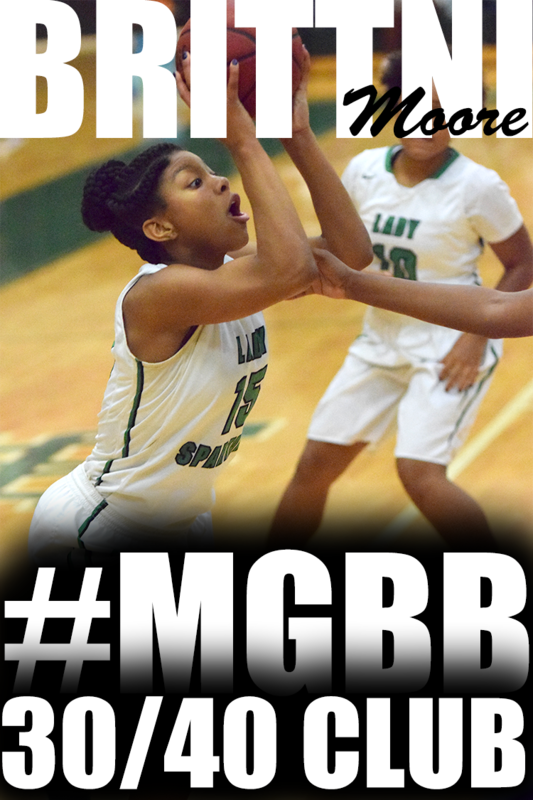 Fairley (15) — S. Alexander 2, D. Berry 2, Jessica Jamison 2, I. Mathis 4, D. Washington 5. 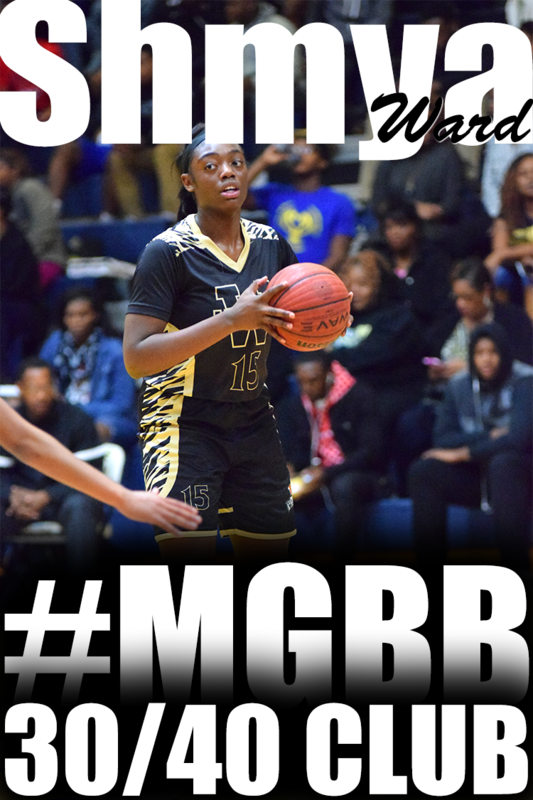 Whitehaven (69) — Laka Blache 11, Brandi Clay 8, Tiarra Coleman 11, Erica Dean 2, Ebony Malone 4, Maia McCoy 10, Kendall Odum 2, Orya Turner 13, Jasmine Rhodes 8. West Fork-Ark. (38) — Franklin 28, Hays 1, Selph 5, Karnes 2, Snowden 2. Collierville (41) — Lindsey Allen 3, Amber Baldwin 8, Jessica Brown 21, Monica Brown 2, Caitlin Hamm 6, Madison Rozier 1. Records — West Fork-Ark. 5-2, Collierville 5-3. Collierville (29) — Amber Baldwin 2, Jessica Brown 8, Monica Brown 4, Hannah Cox 2, Caitlin Hamm 7, Kara Harbin 1, Megan Loden 3, Madison Rozier 2. Jenks-Okla. (73) — Dennis 6, Halsmer 5, Washington 21, Cuellen 6, Crase 6, Peterson 9, Phipps 8, Sears 5, Sullivan 2, Taylor 5.